Rent International House | Corporate Events | Wedding Locations, Event Spaces and Party Venues. 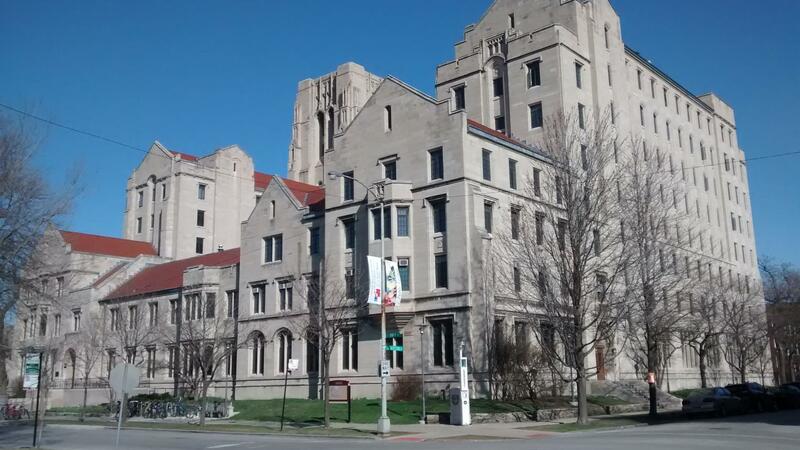 International House serves students and scholars of the University of Chicago community as well as the greater Chicago community with a wide array of programs. Over 150 public programs are held each year at International House. The Coulter Lounge is an impressive room with a view of the historic Midway Plaisance. It boasts high ceilings, handsome oak paneling, leaded glass windows, and a stone fireplace. The Coulter Lounge, with its unique qualities of both an old-world boardroom and a private study, is the ideal room for seminars, recitals, films, and receptions. The Lounge can accommodate fifty guests in a theatre-style or banquet setting and thirty participants for a conference. The Home Room is a bright and elegant lounge graced with cathedral ceilings, chandeliers, and a grand piano. Located on the second floor, this room offers striking views of the University of Chicago campus. This intimate room is ideal for recitals, banquets, lectures, symposiums, and multimedia presentations. The Home Room can accommodate up to seventy-two people for banquets and as many as eighty-five for receptions and recitals.